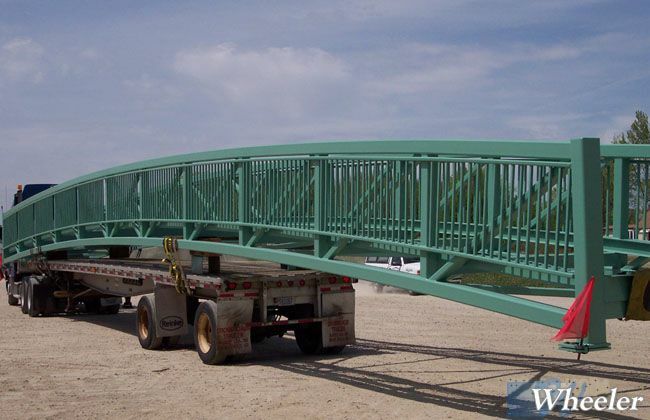 The bridges are shop manufactured with primarily welded connections and shipped to the site ready for installation. 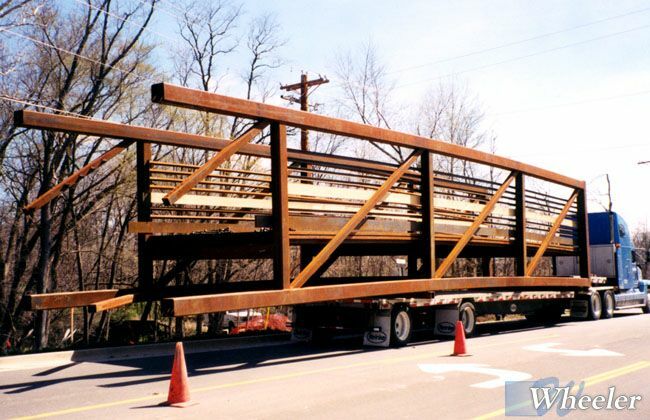 Bridge spans less than 80 feet in length are often shipped as one piece without a field splice. 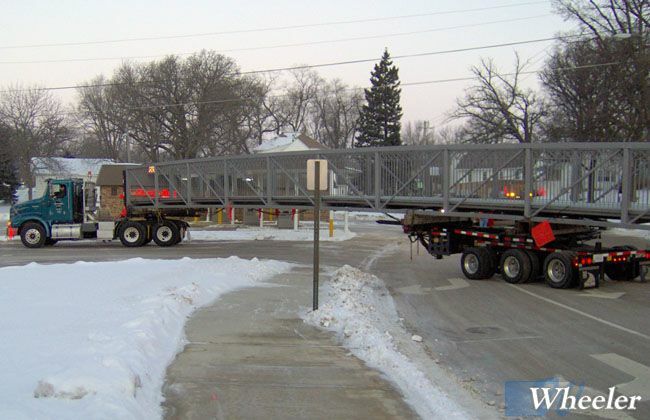 Spans between 80 and 100 feet will be reviewed to determine if they can be shipped without a splice. 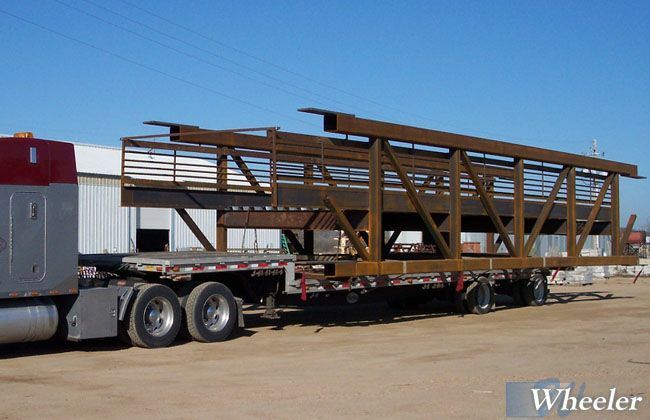 Spans greater than 100 feet will be shipped in sections and require field bolted splice connections. 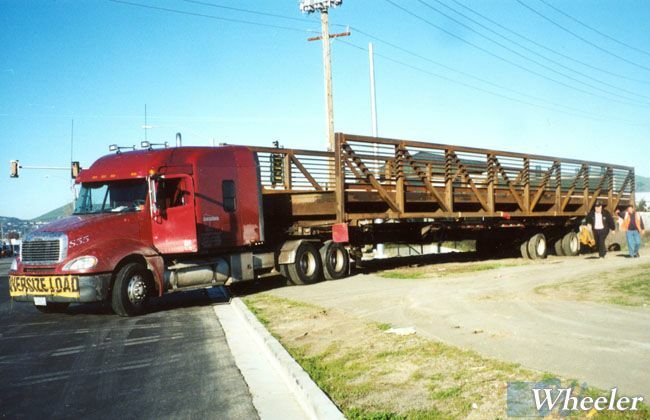 **Bridges are shipped via independent carrier. 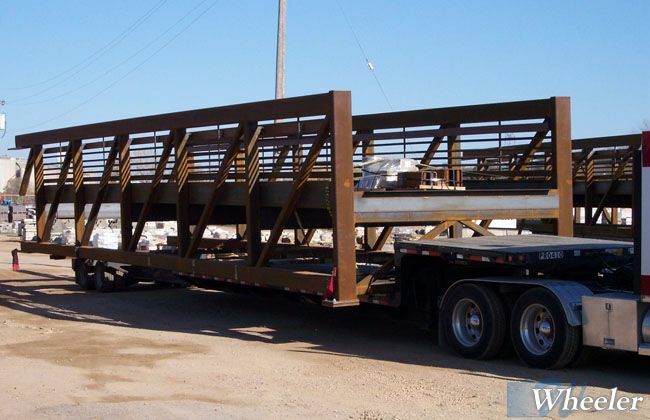 Delivery is made to a location nearest the site, which is easily accessible to normal over-the-road tractor/trailer equipment. 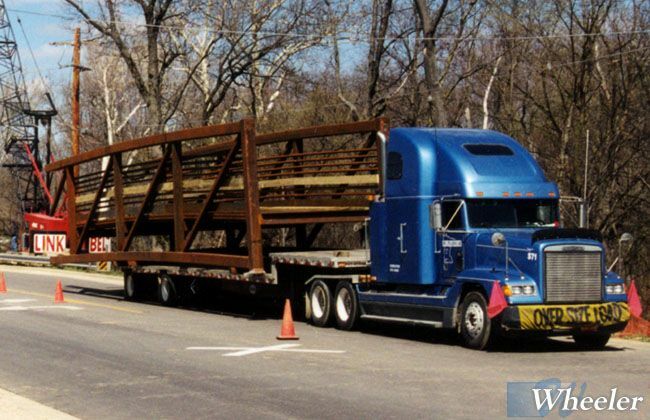 Oversized loads warrant additional consideration and providing suitable access shall be the responsibility of others. 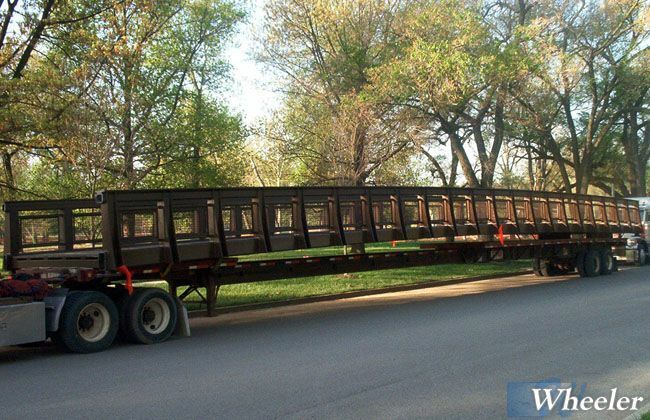 All trucks delivering materials will need to be unloaded at the time of arrival. Detailed, written instruction in the proper lifting procedures and splicing procedures (if required) will be provided. The method and sequence of erection shall be the responsibility of others.